Water Treatment Plant Solar Array – KC Engineering and Land Surveying, P.C. 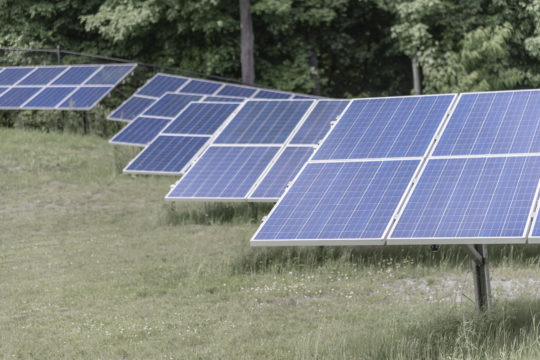 This project consisted of the design and construction of the solar array for the 1.0 MGD Water Treatment Plant in the Village of Wappingers Falls. This water treatment plant designed by KC was constructed to provide for the Village of Wappingers Falls’ future water needs, replacing an aging plant. The solar panel system includes a grid design system of solar panels mounted on a post and rail support system. It provides power to the plant for daily operations. KC assisted the Village during the NYSERDA grant application process, which resulted in securing funding for this project. KC also provided the site layout for the solar panels.